TMJ refers to your temporomandibular joint. These two joints, one on each side of the face, connect the lower jaw (your mandible) with your skull (the temporal bone). The TMJ is among the most complex joints in the body. It allows for a wide variety of movements – the jaw can hinge open and closed as well as glide forward and back and side to side. A combination of these movements is what gives us the ability to talk, yawn, and chew our food. When there is a problem with the TMJ, it can be very painful. The muscles that control the jaw can hurt or there can be an issue within the joint itself. Associated symptoms can include neck or facial pain, headaches, locking or restricted movement of the jaw, and clicking or popping when opening and closing the mouth. When seeking out care options for a TMJ disorder, there are self-care alternatives, dental treatments, and other choices as well. One factor that can be overlooked is how problems with the neck can be related to problems with the jaw. 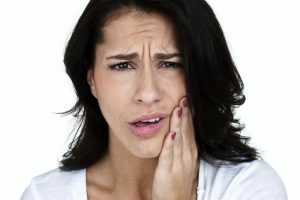 In fact, many people with ongoing TMJ issues also have neck pain, but may not make the connection that the two are related. Your atlas vertebra, the topmost one in your neck, is positioned very closely to the jaw on each side of the face. The atlas holds up your head, and is responsible for the majority of the range of motion of your head and neck. A misalignment of the atlas can easily affect the jaw, and can cause pain and unequal muscle tension on either side of the face. This uneven muscle tension can cause the jaw to move improperly, which over time can lead to sore muscles and wear and tear on the joint. If you have tried other TMJ treatments with little relief, or you are simply managing the problem without understanding the root cause, then upper cervical chiropractic care can be the solution you’ve been seeking. Our approach is precise and gentle, and once normal atlas alignment is restored, it’s possible that your jaw function can return back to normal. This can lead to the resolution of the pain and discomfort associated with TMJ disorders.